We offer safety, process improvement and engineering expertise focusing on strengthening fall protection programs and methods for industry and construction with practical yet sophisticated solutions. We seek to improve your bottom line through savings from reduced likelihood of foreseeable catastrophic fall injuries and finding more efficient work methods free from the tyranny of fall hazards. 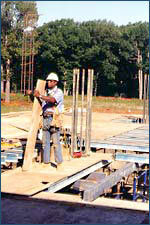 We are independent of fall equipment manufacturers and can render bias-free recommendations. We provide a “current state” status of your fall protection program and what you can do to improve it based on 35 years in the fall protection field experience. One Fall hazard is enough to address a solution of the hazard. If focusing on one specific hazard, we will translate the many views and objections of supervisors and workers into one voice with an action plan for conformance with standards and a practicality of options which should bring clarity to the process and satisfaction for all. If engineering and installation is the next step, EFSS can provide structural engineering drawings and installation service. Our first task in the project is to review your hazard(s), discuss the issues, then provide an estimate and schedule of project completion to meet your needs. Let us help you become more productive as your work surfaces become more secure! 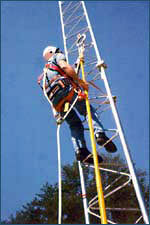 We are your resource for fall protection solutions, training and advice. If fall injuries have already occurred, we can be part of your unusually qualified litigation support team. We have experience with hundreds of cases in third party claims and use each of these to strengthen our consulting and training services. Contact us for the right solution to your fall protection problem, independent of an manufacturer bias but with excellent knowledge of systems available on the market. Many times we can help eliminate your fall hazards! This we call Process Improvement.